index all of its pages. While this might sound complicated, creating your sitemap with Simbla is incredibly simple. 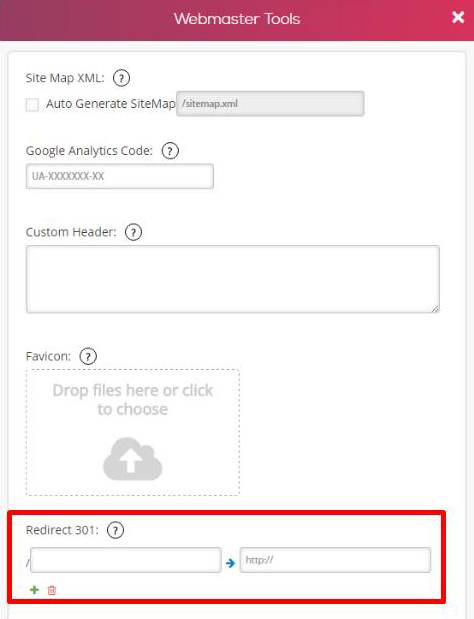 As the box you've just checked suggests, this will automatically generate your SiteMap. 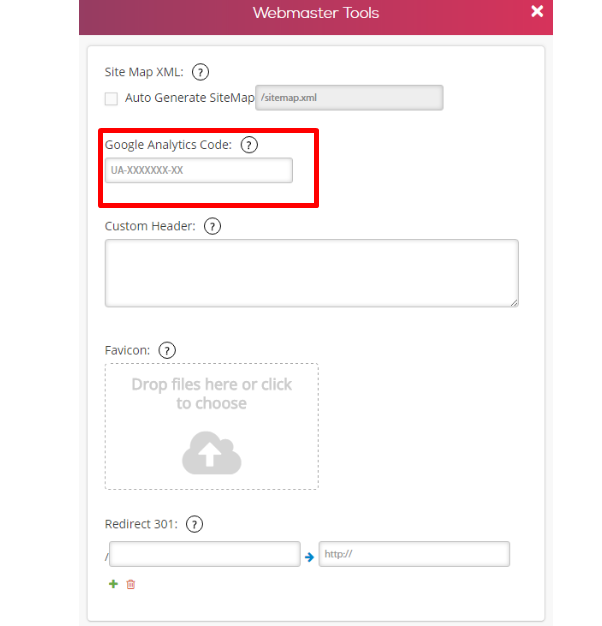 To access it, all you have to do is insert your URL with added to the end like so: “/sitemap.xml"
Metadata is simply data that describes other data, and meta tags provide this metadata about your website in the site's code. In this case, the data we're talking about are small pieces of text that are supposed to let search engines know what your website is all about. · Click on 'Page' and then 'Page Settings' from the menu on the upper left side. -Page Title (SEO)—The title of your website goes here, and this will usually appear in search engine results. -Keywords (SEO)—The keywords that you want to promote, so that users who search for them will come across your website. -Meta tags (Custom Header)—This will add your HTML code to the head of the page (but will only be visible to search engines; it won't actually appear on your site). 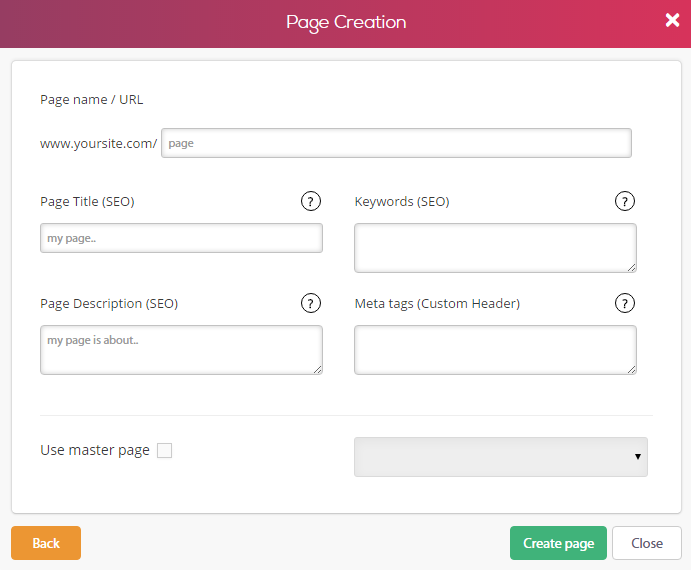 It's important to note that the Master Page will not have these SEO options, because it's meant to be a design template, not an actual web page that you can promote through SEO. Also, you'll want to set these meta tags on every individual page of your website. For this you'll want to head back to your Webmaster Tools page. 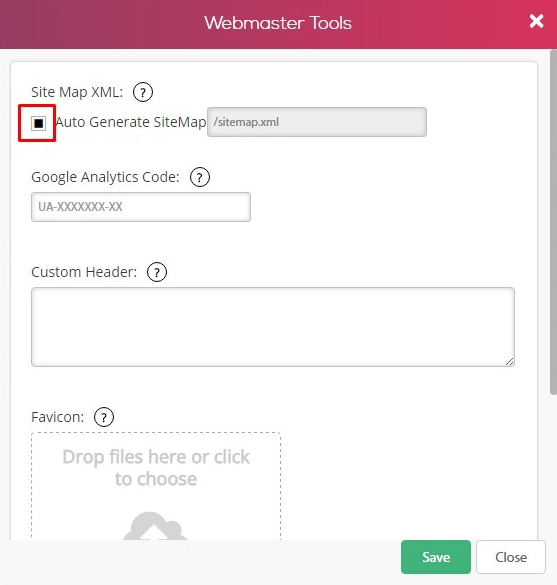 Copy your Google Webmaster Tools' code and embed it here, so you can receive information on your site's traffic data, keyword analytics, users and more. Simbla produces search-friendly URLs for your pages, without adding any extra numbers or page extensions, which helps describe your pages accurately to search engines. Also found in your Webmaster Tools, 301 code references allow you to redirect an old URL to a new address, if you can't save the old URL. What these redirects do in terms of SEO is help search engines pinpoint invalid or unavailable pages, and replace them with the correct page in your Simbla website. Under 'Redirect 301:', enter the original web address in the first rectangle, and the new destination in the second rectangle. With all the SEO tools Simbla puts at your disposal, your website will have an excellent chance of being recognized by search engines. Take advantage of what's available, and compile your SEO strategy while having your site's maximal possible potential in mind.